Outstanding features of the PureVOX for me are the robustness of the Aluminum cabinet with special dampening characteristics, the quasi-Bi-polar design, high performance drivers, and the tone switch. The cabinet reminds me of super-tight, extremely dense and non-resonant cabinets of far more pricey speakers such as the reviewed Wilson Benesch Curve, and the YG Acoustics line. My ears tell me that one cannot go far wrong with a hefty aluminum cabinet, as the PureVOX was clean and clear in ways that wooden and MDF cabinets in my experience have not been. If the prospective buyer wishes to have a sensation of hearing predominantly the drivers, not the contribution of cabinets, then the PureVOX is a marvelous choice. There are other good small towers at the price point of the PureVOX, but any of them with a wood or MDF type enclosure will carry that telltale hollow box sound. The PureVOX avoids this, and as such is a step above in terms of pristine presentation. The cabinet can never be taken entirely out of the equation when it comes to adding up the sound of a speaker, but the PureVOX, as with other speakers with highly damped metal cabinet construction, reduces the contribution of the cabinet in a beneficial way such that even though it is a dynamic speaker it strikes the ear as though more is being heard of the drivers themselves, versus the cabinet. This fools the ear into thinking it is hearing a dipole speaker without a cabinet, where the drivers radiate forward and backward unencumbered by an enclosure. While on the subject of hearing the drivers, I will address the issue of being Bipolar. To be Bipolar is not a good thing for a human, as it leads to a roller coaster life, sometimes pitching to and fro emotionally. However, a Bipolar speaker is a good thing, and for those who cannot sacrifice the space necessary for a larger dipole speaker it becomes a viable alternative. The PureVOX’s 6.9” Kevlar/fiberglass bass driver was refreshing to hear, as I have enjoyed such Kevlar/fiberglass cones in speakers previously. I was sorely tempted to purchase the affordable Wharfedale Opus bookshelf speakers I reviewed, which carried Kevlar bass drivers, simply because they sounded so good! In the PureVOX I was hearing again potent, yet pristine bass from a reasonably sized enclosure. 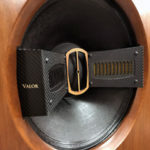 I have taken a liking to all manner of ribbons, and assess the AMT tweeter in the speaker to match the capabilities of the original 1” AMT in the Legacy Whisper Clarity Edition loudspeaker. This driver also is duplicated on the back, angled baffle of the PureVOX. Whereas two of these ribbons might be overpowering if fired directly at the listener, the ever so slight dilution of the crispness of the ribbon through time adjustment by being fired backward prevents it from sounding too bright or etched. This combination of drivers would be quite acceptable if employed in a traditional box speaker design. 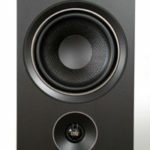 However, the addition of a rear firing set of identical drivers on what appears to be a 45-degree angle changes the ball game hugely, making it a competitive speaker to far more costly floor standers. The rear/upward firing drivers enlarge and deepen the soundstage vastly, making the PureVOX sound more like a 2-meter tall monster, though with not as imposing bass. The angled rear drivers are not a solution without placement issues. These speakers more than non-bipolar speakers must be toed in carefully. The soundstage is so affected by the rear energy that one is not merely focusing the forward energies, but the rear waves as well! More accurately, one focuses the front wave launch while simultaneously dissipating the rear, or conversely, focusing the rear while dissipating the front. If the front baffle is placed parallel to the front wall, an identical dispersion pattern is set up, one firing ahead toward the hearer, and one firing up and out at the ceiling behind the speaker. Toeing in the speakers affects both planes of sound. Because of this the PureVOX is different from a conventional speaker in that the adventurous may even try widening the positioning of the front drivers beyond the parallel plane of the front wall, and in so doing narrow the dispersion of the rear drivers. I did not try it, but it should be known that because there is a second identical wave launch it is possible, and some listeners may find it to have an interesting effect, perhaps like a surround processor’s movie setting. Instead of giving more information about the speakers, you wasted one entire page by “experimenting with turning the speakers around,” something just as dumb as placing a regular front-firing speaker upside-down to see what happens. But I still like the review. I like to give the type of information which might result in a far more enjoyable ownership experience, and I don’t care much if it’s not acceptable to Audiophile sensibilities. Someone who lays out $6K and learns that they have two options for great sound might disagree strongly with your dismissal. What kind of low frequency response are these speakers capable of? No specs. 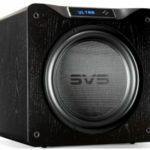 were given by the company, and not much mentioned in your review, beside your categorizing them somewhere between a bookshelf speaker and the Vapor Audio speakers you mentioned. Please let me know when you get a chance….Thanks for your help! How did the speakers compare to the Sonos speakers? In terms of the NAS used, how would you compare the sonic attributes of the Buffalo Linkstation 500G model to other models of the Buffalo line? What is a “Dexa NewClassD Discrete Opamp Upgrade” and what is the break-in period for something like this? I saw that you have several DACs including inter alia the BMC PureDAC and the Musical Fidelity V90-DAC. I’ve heard both and they are excellent. Given their respective price points, do you think that the BMC is ten times better? I notice you use no room tweaks. Have you determined that they are in fact a waste of money or do you have aesthetic or other constraints (e.g., wife or partner opprobrium) influencing your decision? Thank you as always for the excellent review. I have not heard Sonos speakers. Did you mean Vapor Audio speakers? The Nimbus White is far superior, as it should be at the price. I have no experience with other models of the Buffalo NAS products. 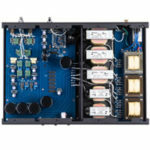 Please see my Audio Blast article here at Dagogo “Eastern Electric Minimax DAC Plus – Discrete Opamp Rolling” for further info on that topic. No, the BMC is not ten times better, and such an arbitrary association is not common in the High End. Products obviously do not scale to several multiple times better as though a direct function of cost. If you seek such a sterile direct relationship in audio components, you will be sorely disappointed. I have determined through testing that tweaks such as brass bowls, etc. are a waste of time, as they miserably fail my Law of Efficacy, which states that a change must be instant, obvious and of such a performance improvement that it merits the cost. I am not including room tuning devices such as sound panels and diffusers, etc. Typically only cables and components/speakers are capable of such changes. Opamp rolling occurs in the signal path, and as such is inherently more capable than these others, and I do not consider it a tweak but an upgrade. You will need to consult the manufacturer to see whether they discuss a break in period. I do not recall any of the manufacturers I have spoken with discussing a break in period. 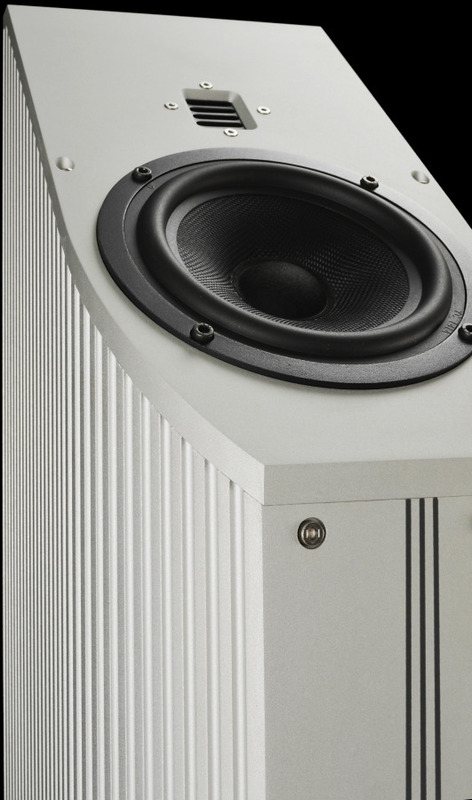 You caught a mental glitch in my article; on page three I meant to reference the “Kingsound King Tower” speakers, a model which Performance Devices, the North American distributor for Kingsound, decided not to sell. I picked up the demo pair which were shown a couple years at C.E.S. If you wish to see them you likely can by searching online for images by the name of the speaker. I will have the article amended to accurately reflect the proper model. Kingsound likes to name their speakers using royal titles, so it can be easy to confuse them. However, their sound quality is tremendous. I have the Wells amp, so I am curious have full these speakers sound. In other words, do they give instruments, voices, etc proper body? I don’t have a lot of experience with aluminum speakers, but the ones I have heard sound extremely articulate but somewhat analytical, but not necessarily “warm” for lack of a better word. I guess I err to the warm side in my preference. Do you like panel speakers? Do you enjoy not having the sound of a cabinet? If you are usually captivated by warm sounding speakers, like Vandersteen’s line up to the 3’s, then you may not be the right type of person for the PureVOX. If you are worried about missing the colorations of a speaker with a wooden cabinet, you may need to audition the PureVOX before deciding. Hi Doug, hoping you may have a few words of help for me. Closest BMC dealer is a state away, so it won’t be easy for me to hear them. I currently own Wilson Benesch Arcs for a small room, and I don’t find the lack of a wooden box a problem – I love what the carbon fiber cabinet does for the Arcs. The sound completely disconnects from the box, so to speak. My question is specifically about the AMTs on the PureVox…how would you compare its signature to good silk domes like those WB uses, or Proac, or Dynaudio, or even the B&W Diamond tweeter? In terms of etchiness, sweetness, smoothness, sibilance, etc. how does the PureVox AMT implementation stack up specifically vs. nice silk domes? Thank you! Thank you for a thorough review and it does help boost my interest in this pair. Being a HT enthusiast myself, may I ask if you would recommend this pair as main speakers in a HT system? Sorry, Eric for tardy reply! I find silk dome tweeters to typically be reticent, so the tweeter on the PureVox was more appealing to me. Having heard some strident tweeters I had no sense of the Treble being etched or too bright. Daniel, If you are looking for a HT pair of mains that give a sense of the gargantuan and unlimited LF, then, no, these won’t do so. But, in a moderately sized HT setup I think they would do very well.